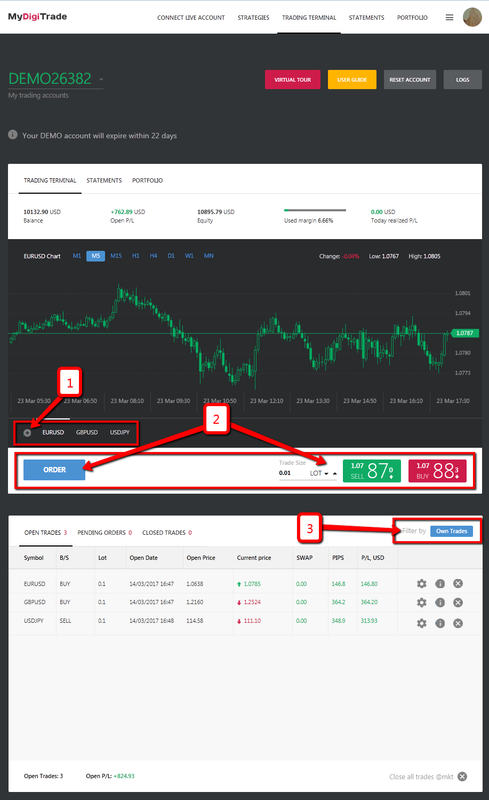 Our trading terminal allows monitoring of actions performed by strategy providers in a real-time mode via any browser and from any device (mobile phone or desktop computer). You may choose the list of trading instruments, which charts you want to monitor through the web terminal. You may make trades directly from our website. We enable you to set pending orders or trade in a one-click mode at the market prices. You may choose traders and view their current performance individually. You can learn how many open trades are held by a trader at the given moment and what results these trades show. 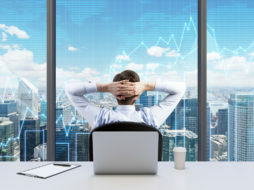 When you connect your real account to our platform, our web terminal will synchronize with your brokerage account. 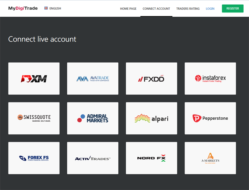 All the actions (trading) will be performed directly on your brokerage account. 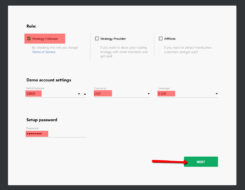 You may access your account with both your broker’s terminal and our website. 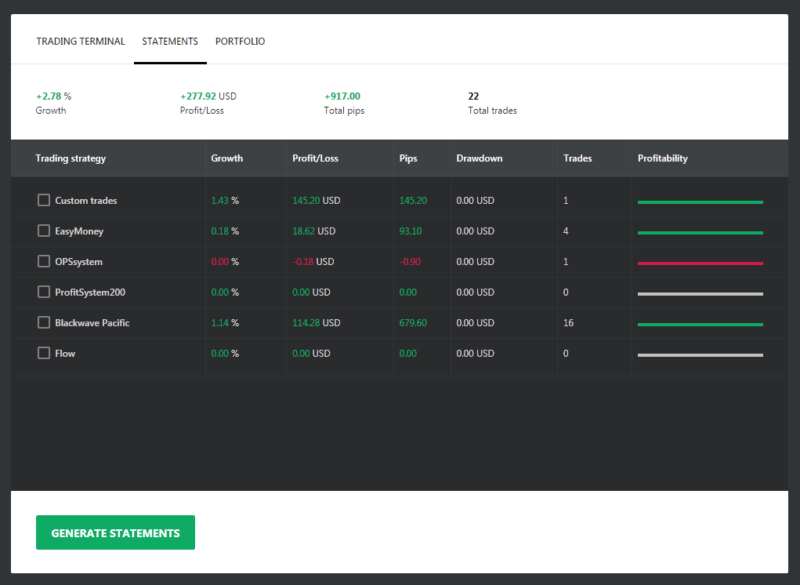 You can view the total return for your account and monitor a history of trades individually for every trader.